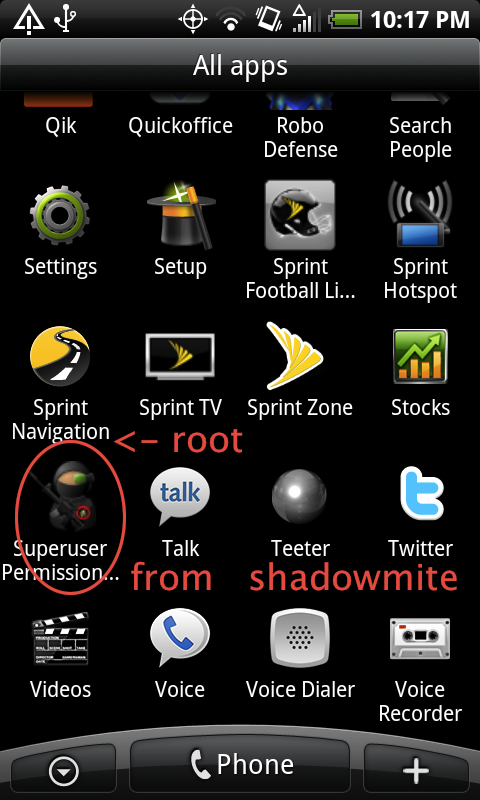 How to Achieve Temp Root for HTC Evo Shift 4G! ← How to Beat Angry Birds 1-1! For those of you who are trying to use root programs like free wifi Android tethering program (so you can get free wifi tethering from Sprint), you might want to get temp root access to your HTC Evo Shift 4G for the time being while permanent root is being worked on. you now have temporary root!! full instructions and the link to visionary can be found here. Check out more interesting categories: DIY, Featured DIYs, Featured Gadgets, Gadgets, Google Android, Hack, HOWTO, HTC Evo Shift 4G, Projects, Smartphones. G2 Hacks – How to Root G2 Phone! HTC Evo Hacks – How to Root Froyo Android 2.2 Froyo on HTC Evo 4G!